Located at the base of Mt. Crested Butte, Colorado, Elevation Hotel & Spa offers luxurious accommodations, breathtaking mountain views, an on-site spa, and fine dining! The very best of Colorado! Cabins on the Taylor River, 52 Cabins from rustic to upscale, 7 Lodge rooms, 2 Vacation Homes, Open all year, Guests have private fishing access. 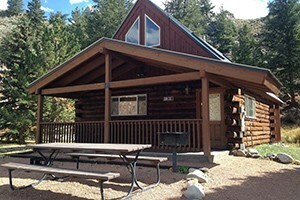 We offer a large selection of quality lodging in Mt. 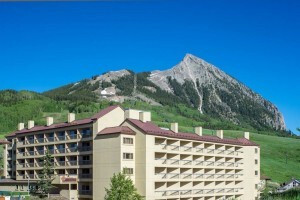 Crested Butte ranging from studio to 4 bedroom condominiums. Bring your RV, tent, or rent a cabin, Campgrounds with a lot of extra accommodations. Nested high in the Rockies of southwestern Colorado, Harmel's Ranch Resort provides families with the ultimate dude ranch vacation adventure. A luxury boutique hotel & spa. Free Wi-Fi , afternoon wine tasting, outdoor jacuzzi & concierge services. Convenient to shopping, dining, and outdoor activities. Great pet friendly motel. Recently remodeled. We are a pet-friendly bed and breakfast just 8 miles outside of Salida, CO. Monarch Ski resort is just 30 minutes away.Free WIFI, Hot tub, full country breakfast included. Old Town Inn : "The warmth of a family inn... the value and convenience of a hotel." Enjoy aspen groves, skiing & hiking, staying at cabins perched in Gunnison National Forest near Cement Mountain, just 8 miles from downtown! 2 and 3 bedroom cabins available. 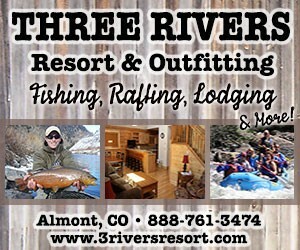 Rated #1 Bed and Breakfast Inn in Colorado, with discounts and ski free deals. Why wouldn't you stay here? Located in Mt. Crested Butte, just 2 miles from the historic town of Crested Butte, Colorado. Hike and bike from our doorstep in the summer and Ski-in / Ski-out during the ski season. Stay slopeside at the San Moritz Condominiums! RV Park, Cabins & Campground in beautiful Gunnsion, Colorado! Clean and well maintained restrooms, laundry facility, lodge and general store! Close to skiing, golfing and outdoor adventure sports, the Water Wheel Inn boasts on-site massage and delicious continental breakfast. We have the best high-end ski-in/out homes and historic downtown properties in Crested Butte! Bring your pet when you visit Crested Butte, Colorado.